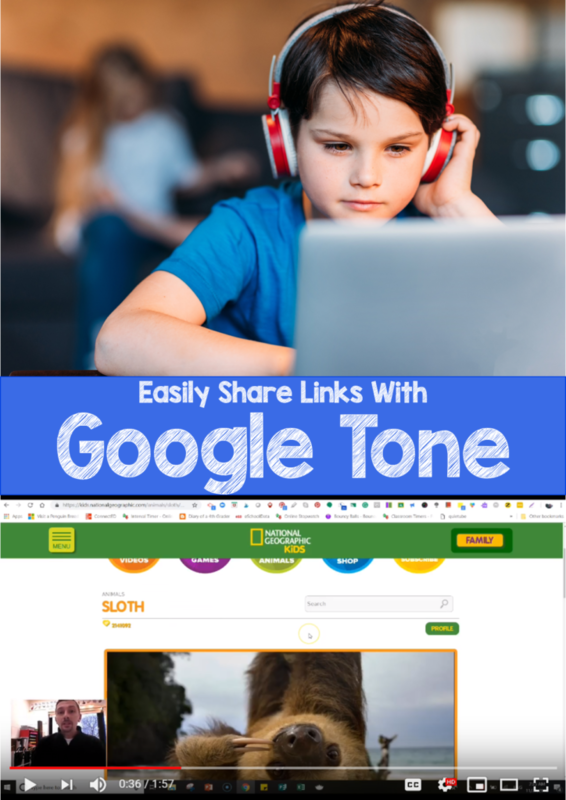 Looking to easily share links with students using Google Tone? This chrome extension can be added to the Chrome browser through the Chrome Web Store. Go to a site that you want to share with students, click on the extension on the top of your browser window, and a tone will play. As long as students have a Chrome window open, their Chromebooks will pick this tone up and your link will be shared with students! Here is a video for the visual learners!